The Symbol LS2208 scanner is identical to the Motorola LS2208 scanner and the Zebra LS2208 scanner. 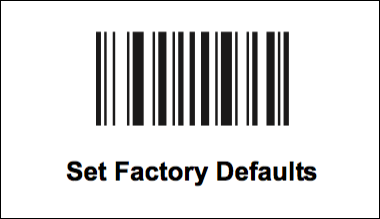 Scan this barcode to reset the scanner to its factory default settings. Scan the following three barcodes to set the scan data format for your scanner. 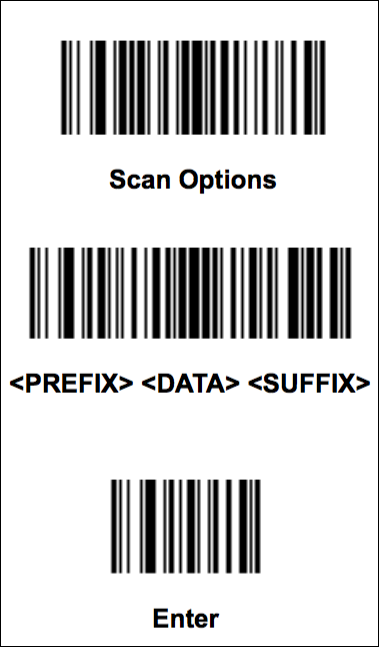 Scan the following barcodes to set the prefix for your scanner.